A polytechnic student in Osun State, Tunde Nafiu has been shot dead by a policeman attached to the Special Anti Robbery Squad operative in Iwo, Osun State. The incident led to a violent riot in the town and the Police Area Command headquarters in Iwo and several vehicles were destroyed by angry youths. 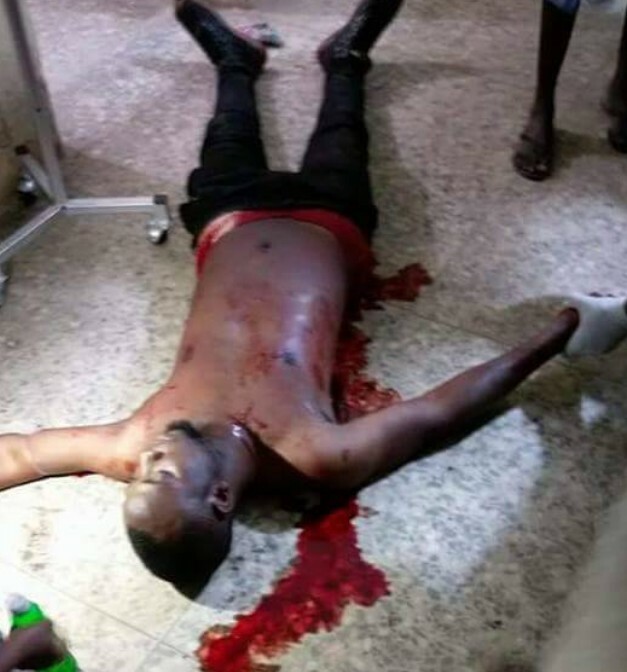 Eyewitnesses account revealed that the SARS operative shot the 30-year-old student at Agboigboro area over an argument. The Commissioner of Police in the State, Mr Fimihan Adeoye said the policeman has been arrested and detained in Osogbo, the state capital. The police boss visited the family of the late student and assured them that the SARS operative would face the full wrath of the law. When he visited the scene, CP Adeoye advised people to conduct themselves peacefully and lawfully even when showing their grievances. Meanwhile, 31 persons have been arrested in the community over the violent riot in which properties including police vehicles and building were destroyed. The Police Public Relations Officer in the state, Folasade Odoro confirmed this to The Nigerian Voice.